By Laurent Cambon, Current MBA Student, and Mathieu François, Graduating Class of 2011. In a very diverse MBA class, it is inevitable we get exposed to the richness of culture and gustatory delights of the countries represented. So, two of us from France started the Wine Appreciation Club to share a common, yet very important part of our culture – Wines. I have always been passionate about food and wines. To me, they are integral components of that which we consider French culture. Nearly all the 22 regions of France produce their own wines, each of which were developed to match the region’s cuisine. “If I have to choose wine according to conventional wisdom, I would opt for a very famous wine like Romanée-Conti from Bourgogne. But I prefer to answer based on my personal feelings. I have family roots in the South of France. So, each time I appreciate a Châteauneuf-du-pape, many memories and sensations from this region come to my mind, especially when I was a child. To be more specific, Château Mont-redon is certainly one of the best from this Côtes-du-rhône category,” adds by my co-initiator, Mathieu. This diversity of wines contributes invariably to the richness of French culture. In Singapore, wines are just aplenty and you can get them easily- in groceries, or wine depots, to shopping malls, to even convenience stores available 24 hours. And the variety is just really great- coming from all the wine producing countries, including the best wine producer – France, of course. 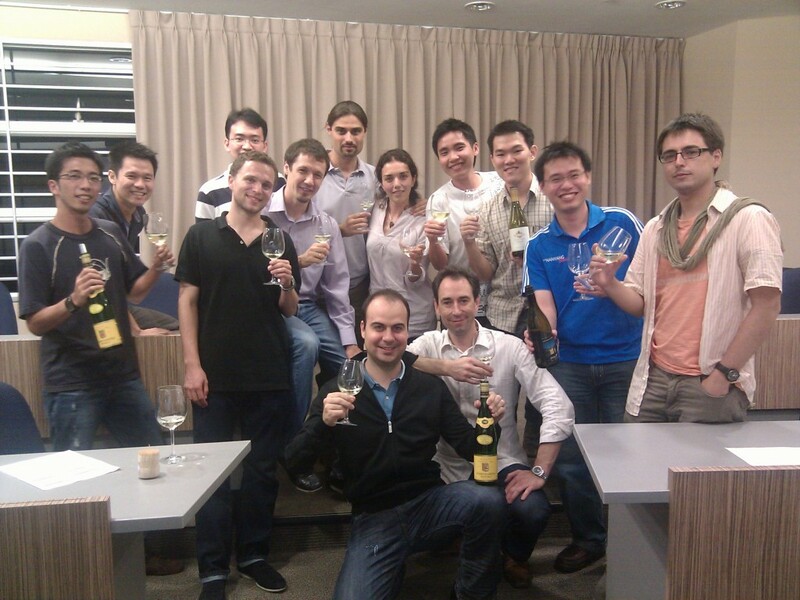 The Wine Appreciation Club was set up with the aim of extending our passion for wines to other MBA students. 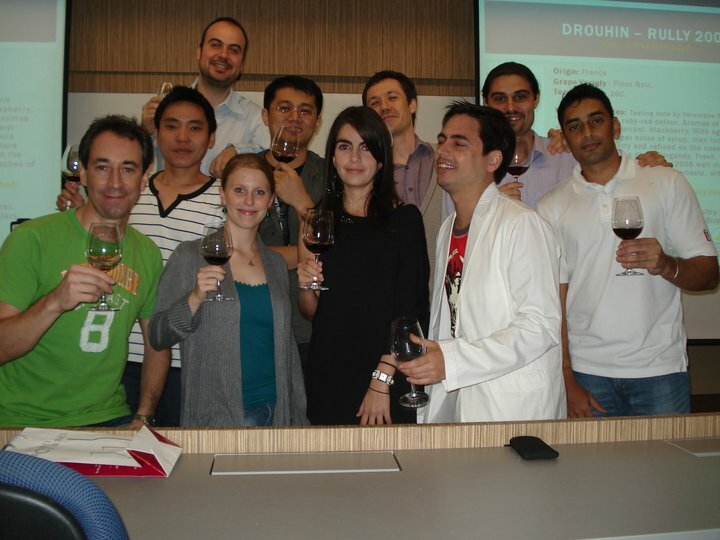 Some of the initiatives of the Club include helping students identify the type of wines they already appreciate, introducing them to new wines, and inviting them to wine tasting processes that would enable them to appreciate wines better. Sessions were not complete without food – we paired whites, reds and ‘bubbly’ or champagnes with food. Surely, members of the club, both the new and seasoned ones, took pleasure in every session in the appreciation of wine. 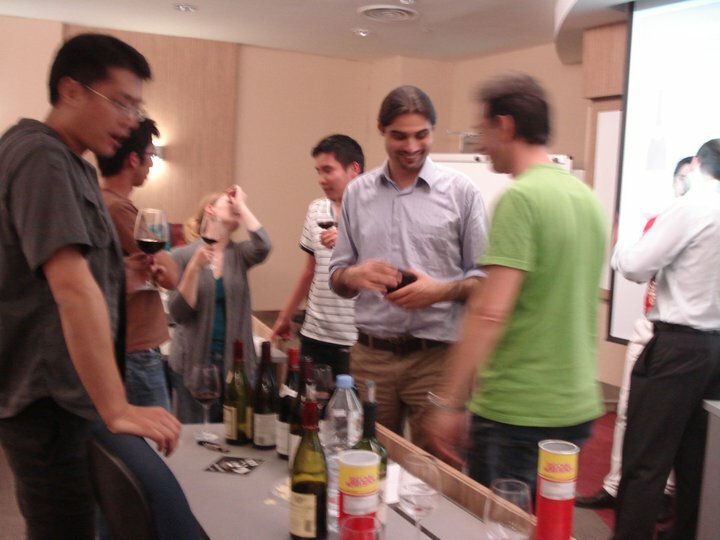 Even though Wine Tasting is not a course in the MBA curriculum, we believe that it would serve as a complementary component in the life of an MBA student, who will soon be actively engaged in business dinners or in social gatherings. We hope to see this club continue in the new academic year. 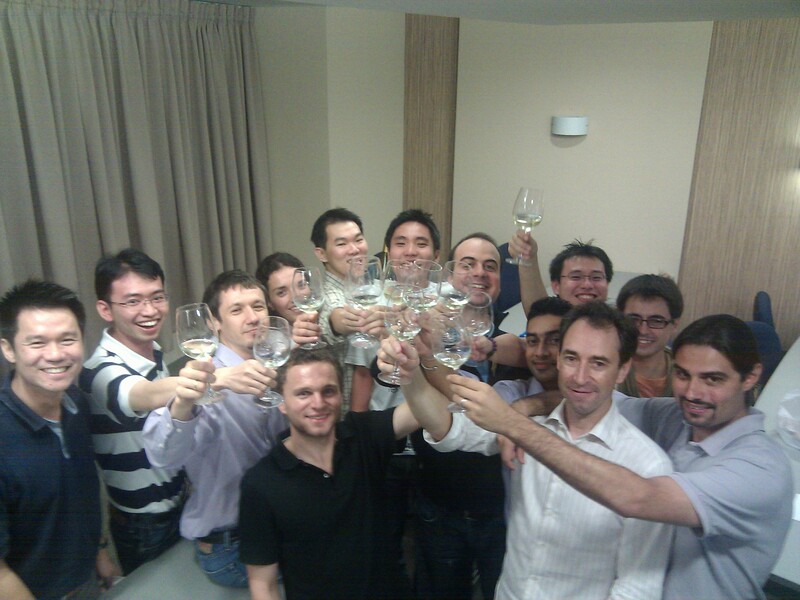 Our first event – Wine Appreciation-White Wines, attracted 14 wine lovers, curious souls and converts. 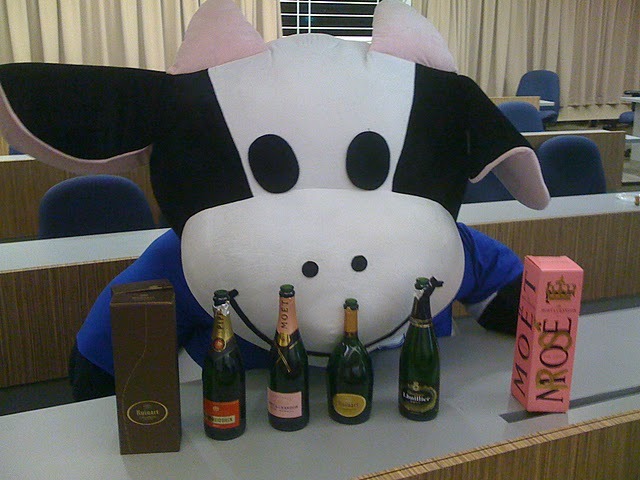 And as a last hurrah to end T3 (and for some of us in the NANYANG-WASEDA Program who graduated recently in July), we had a special guest in our Champagnes session, which made the session more delightful – our ‘unofficial’ mascot.